Indulge in the absolute delight of a sweet and fruity lemon Bundt cake filled with a sweet surprise. 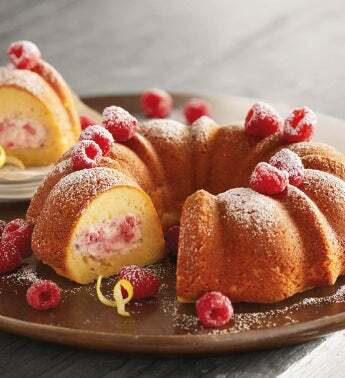 New York-style cheesecake is blended with raspberries to create a heavenly filling that's woven throughout the lemon cake to create an irresistible flavor combination. Top with a dusting of powdered sugar for a dessert that looks as elegant as it tastes.